Grandmas’ rock! The endless acts of kindness, the warming hugs and the teatime treats we’ve all come to love from one of our favourite ladies in our lives. 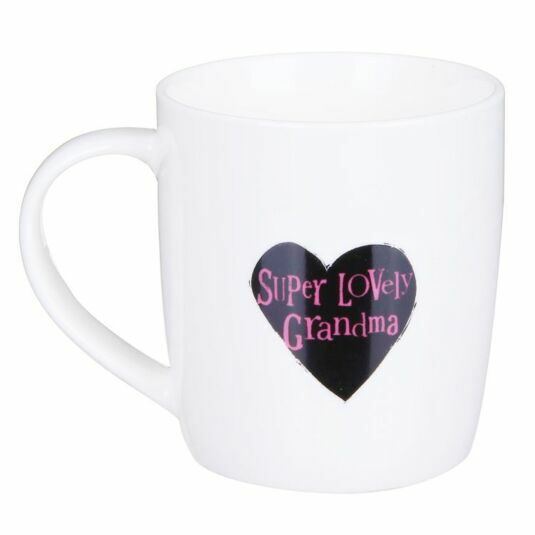 Give Grandma something she’ll enjoy and laugh with, with this complimenting boxed mug. 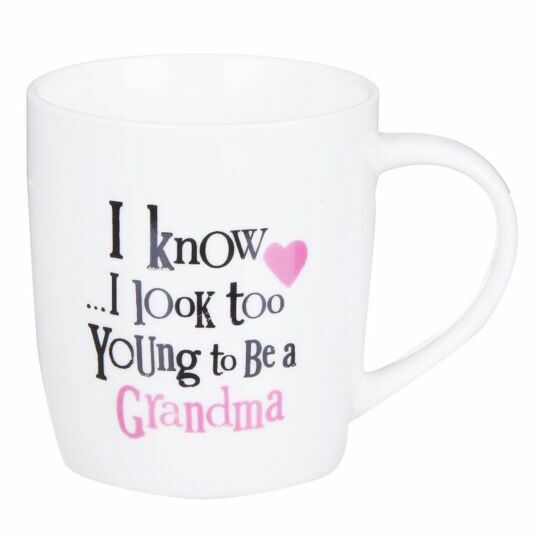 This mug is white in its colour and features the words ‘I know I look too young to be a Grandma’ on the front, whilst the rear of the mug houses a black love heart, with the words ‘Super Lovely Grandma’ printed in a pink font inside. This mug is beautifully presented in a pink, heart patterned gift box, with the words found on the front of the mug repeated on the box itself. This new bone china mug is both microwave and dishwasher safe for granny to make an array of hot or cold drinks within! 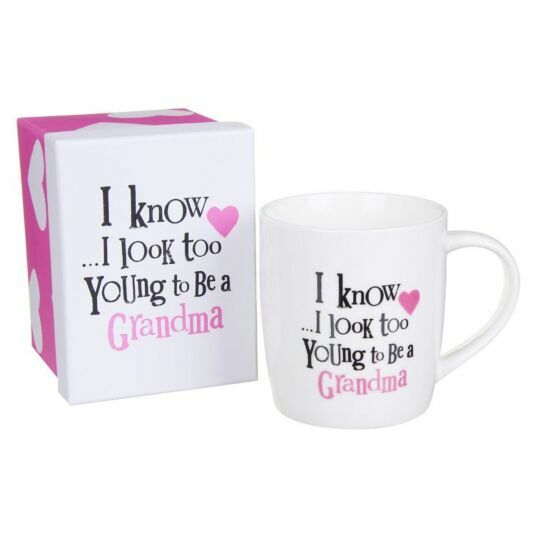 Show your grandma how special she is to you in a comical way with this Bright Side Grandma Boxed Mug. This mug would make a perfect, thoughtful gift for Mother’s Day.